Have fun decorating the switch covers in your home. One idea is to paint a Picasso-like image on them. 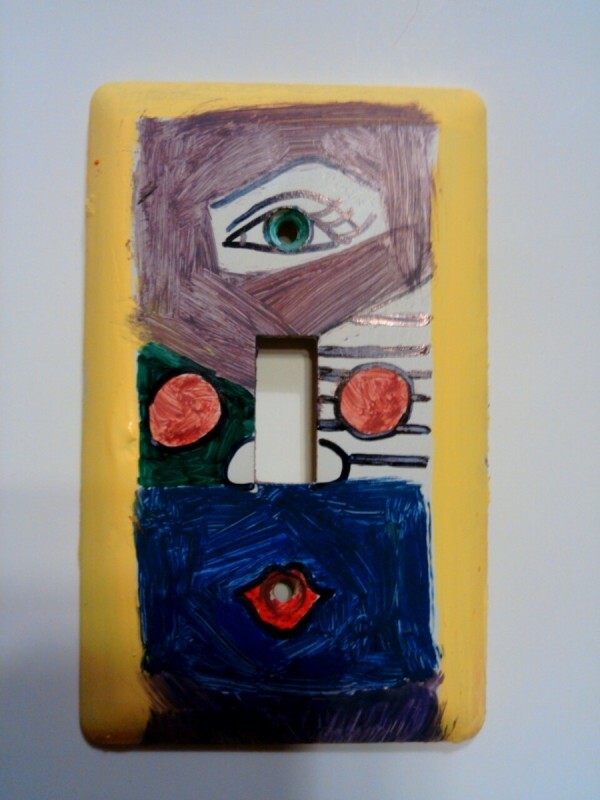 This is a guide about making a Picasso light switch plate cover. 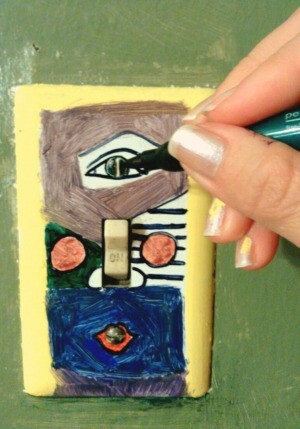 Turn a plain white light switch cover into a little Picasso like painting. 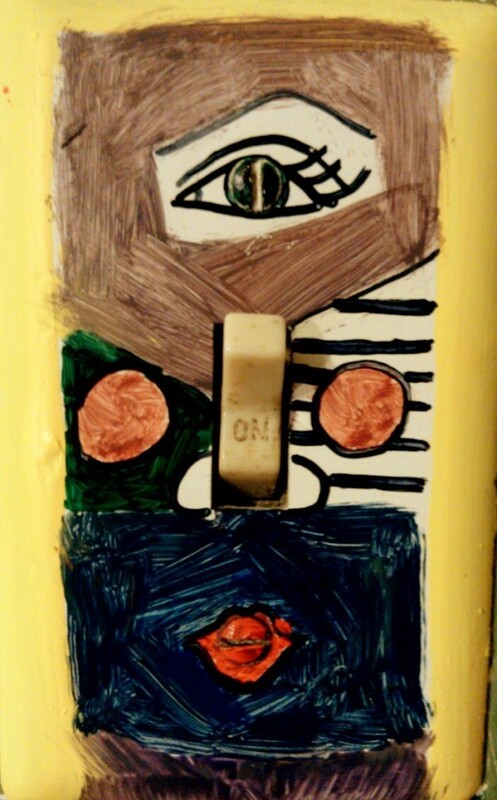 Turn light off. Remove light switch cover if you don't already have one. Wipe well with sponge and dry. Mark basic ouline with black permanent marker, including eye, nose, and mouth. Paint and color as shown or use your own ideas and colors. 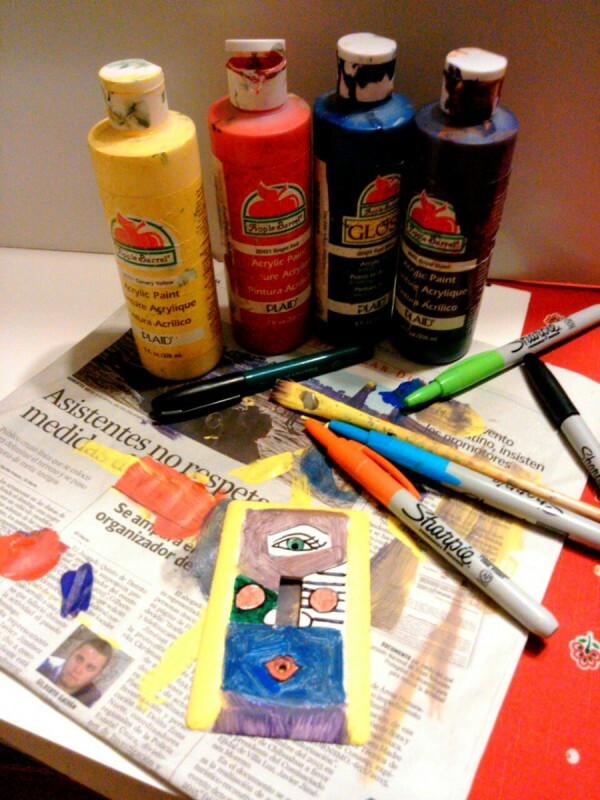 Have fun creating abstract art known as cubism! Let it dry or speed up drying with a hair dryer. 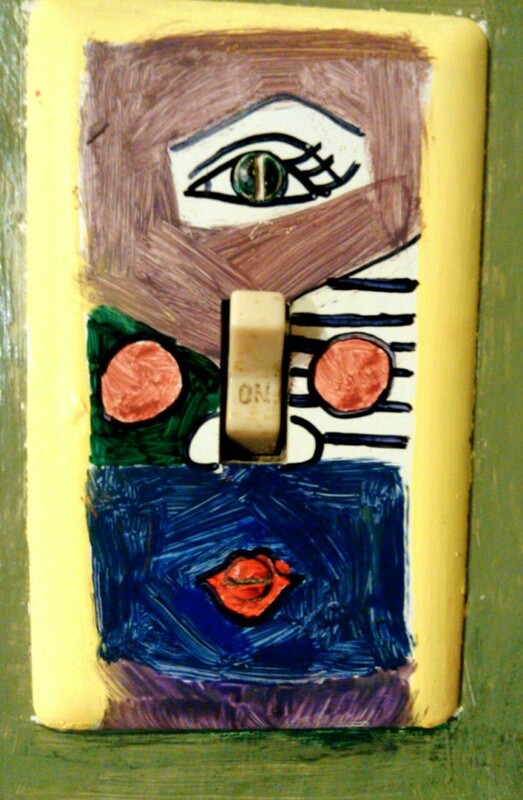 When completely dry, screw in switchplate. 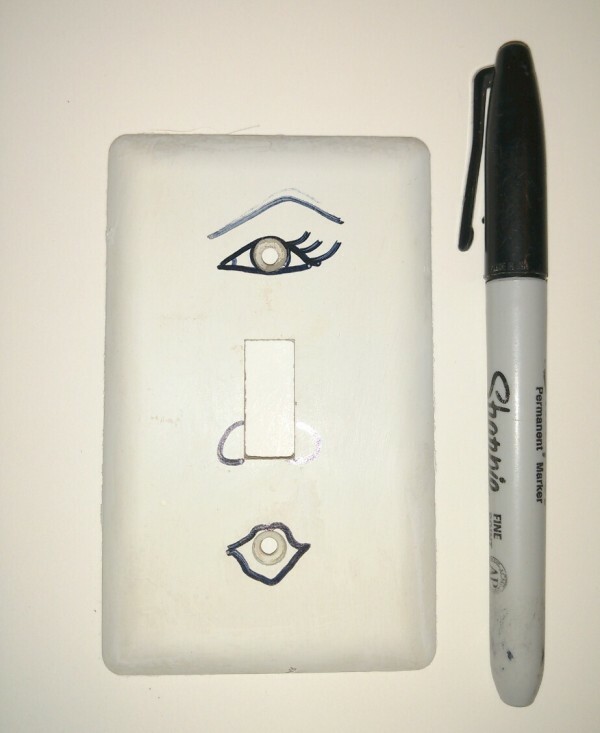 Position the screws to match eye and lips and paint them.